The examples available online pertain to politicians and celebrities – those in the public eye whose mistakes are given eternal life, if not by the history books, then by the modern equivalent: viral YouTube clips. 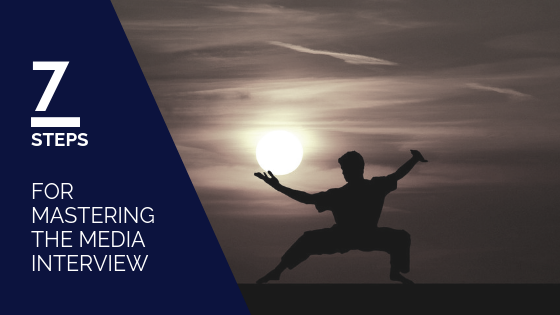 Luckily, the media engagements of these high-profile interviewees are likely to bear little resemblance to the B2B media campaign that you, as a commercial company representative, are conducting with your PR team. Nevertheless – and while small slip-ups are both inevitable and often harmless – making a big mistake in a media interview can have significant consequences, both for the reputation of your company, and for your personal relationship with the journalist. If you’re looking for a quick way to avoid the major errors, just watch a compilation video or two on YouTube (‘worst TV interviews ever’, that sort of thing) and then do the exact opposite of the interviewees featured in the videos. But to really cover all your bases, read on. Journalists often have to deal with interviewees slipping into marketing mode, boasting about their company and trying to ‘sell’ their products and services. As a PR agency, we often receive warnings to this effect from the journalist, in advance of an interview with our clients. And with good reason. Too many interviewees confuse an interview opportunity with free advertising. The result: the journalist becomes disengaged, your relationship with them is damaged, and they are unlikely to write up the interview, or to come to you in the future for comment. Instead of focusing on your company – great though I’m sure it is – put yourself in the journalist’s shoes and think about what they are likely to be interested in (hint: it’s not your shiny new line of products). Your company is only interesting as far as your comments offer insight and opinions on the wider market. But if you’re not allowed to go ‘on the sell’, where is the value of the interview for you and your company? Well, the value comes as a natural by-product of being seen to educate and lead the market. Rather than shouting about yourself, the ability to offer insightful comment not only raises your profile, but also gains you respect among your peers, clients, and prospects. Key advice: Forget about your company’s vested interests altogether. Instead, regard an interview as an opportunity to help, advise, and support your clients and the market, by sharing your expertise and insights. Politicians are experts at this. If you need any convincing – and I’m sure you don’t – switch on BBC One on a Sunday morning, and watch poor Andrew Marr try to squeeze a straight answer out of his political guest for the morning. Some interviewers – such as Jeremy Paxman – are renowned for calling out their interviewees for prevaricating. And even the mild-tempered Richard Madeley had had enough when recently interviewing Defence Secretary Gavin Williamson, cutting short the interview and saying ‘It would be helpful if you answered a straight question with a straight answer’. These are extreme examples. The politicians in question were knowingly avoiding answering the questions posed to them, and the interviewers decided to challenge them. In less high-profile interviews, this is unlikely to happen. However, failing to answer questions well during an interview – whether deliberately or not – will both alienate you from the journalist, and lower your chances of the interview being published. If you can’t, or don’t want to, answer a question, just say so. Give a reason if possible – does the question ask for sensitive information, or do you just not know the answer? In most cases, the journalist will respect and appreciate your honesty, and the interview will be able to move forward productively and pleasantly. (In the unlikely event that you come across an unsympathetic journalist who continues to push you for an answer, be polite but stick to your guns, and don’t be forced to answer a question you don’t want to). Read our ‘How to deal with difficult questions’ post for advice on negotiating tricky situations. On the other hand, if you are able and willing to provide an answer, make sure your answer is a good one. How? Structure your thoughts clearly – don’t get side-tracked or lose focus – and be sure to directly answer the question you’re being asked. Key advice: Stay on topic. Listen – really listen – to the question, and make sure that – even if your answer veers off on a tangent – you finish by referring back to the question, and ensuring that you provide a proper answer. If you can’t, or won’t, give an answer, just say so – don’t equivocate. One of the fastest ways to alienate a journalist – or indeed any audience – is failing to acknowledge their unique position, knowledge base and interests, when talking to them. In interviews between a specialist company spokesperson – such as yourself – and a journalist, this often takes the form of answers being too complicated. You may be an expert in your field, but the journalist is likely not to be – even if they work for a relevant trade title. The trick is gauging their level of knowledge. For example, say your company produces gearboxes for offshore wind turbines, and you have an interview with a journalist from a renewable energy trade title such as Recharge or Windpower Monthly. The journalist will clearly have accumulated a lot of knowledge about the renewables sector, and is likely to have a basic understanding of the mechanics driving a wind turbine, including gearboxes. However, they – unlike you – are not a gearbox equipment specialist. You can assume a certain level of knowledge, but you should also offer explanations to accompany some of your more technical points. Crucially, avoid industry-specific jargon, unless the journalist is also a specialist in your field. 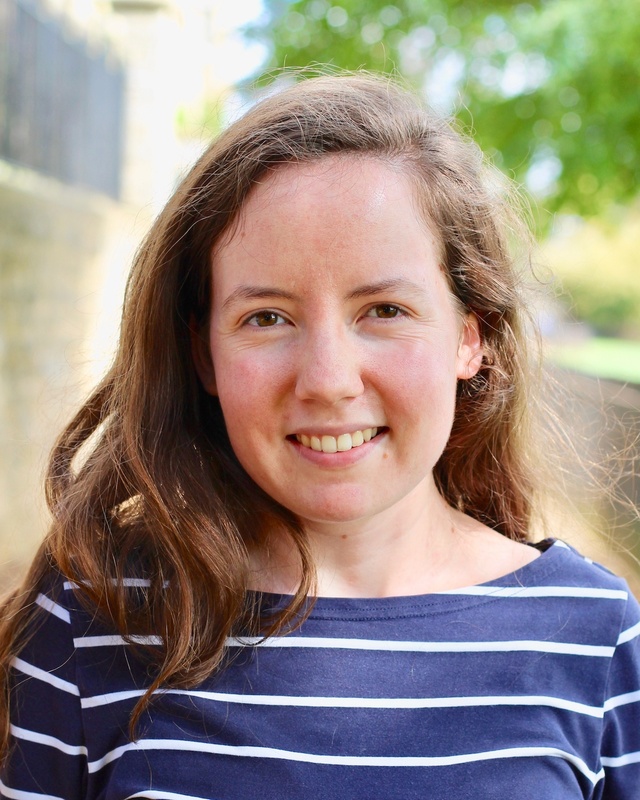 Time and again, we’ve seen excessive jargon become an obstacle to a journalist’s understanding of key messages – with a corresponding impact on the quality of the coverage. Key advice: Know your audience – and make sure your remarks are accessible. You are a specialist in your field: your audience is likely not to be. Pitch your remarks at the right level. It goes without saying that the same applies in reverse; if you’re talking to a renewable energy trade journalist, don’t patronise them by explaining what a wind farm is. Incidentally, journalists are inherently curious, and – whether they work for a specialist trade title or not – they are talking to you for a reason: because they want your specialist insight (as we mentioned in point 3, above). Don’t be afraid of giving technical answers to questions; just try to make your points accessible, and be prepared to answer questions. The interviewee demonstrated the depth of his knowledge, and offered a valuable statistic, but then went on to explain his point in terms relatable to the journalist; a great technique. Key advice: Don’t give superficial answers. The journalist is interviewing a specialist (you) for a reason – so share your expertise and knowledge. But try and give relatable examples where possible, and make the journalist feel comfortable in asking for clarifications (both during, and after, the interview). A simple one, this. Judge and adapt your answer lengths to the nature of the question – if the question is basic, don’t feel obliged to chat on for ages when answering it. As long as you have answered the question properly (see point 2, above), a sentence or two is more than enough. Some journalists like to use awkward pauses as a way to nudge interviewees to keep talking long after they’ve said everything they want to say – particularly when asking a difficult or sensitive question. Don’t let this happen to you – say your piece, then stop talking. On the other hand, if the question is a detailed one, and the journalist indicates they need an in-depth answer, don’t shy away from talking comprehensively around a subject. If the question does require a long, in-depth or multifaceted answer, structuring your thoughts clearly can be a tremendous help – both to you, and to the journalist. Taking a moment to think through how many different points you’d like to get across, before delivering them in a nice ordered list, will make you a journalist’s best friend – particularly if they’re scribbling down notes as you speak. Key advice: Match the length and complexity of your answer to the requirements of the question. And don’t be pressured by an awkward silence into talking for longer than you want to. I touched on this in point 2, above – but it should go without saying that, if you don’t know the answer to a question, you shouldn’t try to answer it. This applies specifically to factual, ‘right or wrong’ answers, rather than opinion-based ones. For example, if you’re asked: ‘How many MW of offshore wind capacity is currently installed off the British coast?’ and you don’t categorically know the answer, much better to say so – and offer to find the information later for the journalist – than to make something up. This scathing Guardian article about Diane Abbott’s disastrous TV appearance in early 2017, in which she attempted to make up numbers during an interview about the costs of recruiting more police officers, should act as a warning. Speculation, at best, will give the journalist some information that they will be unable to credibly use. At worst, you may be so far off the mark that, when the journalist finds out the real answer to the question, you end up damaging your company’s reputation. Key advice: If you don’t categorically know the answer to a ‘right or wrong’ question (involving facts and figures), admit as much – rather than speculating or guessing. Instead, offer to find the information for the journalist and send it over after the interview. To put it bluntly, there is no such thing as ‘off the record’. During media interviews, you should regard everything you say to a journalist as fair game. If you don’t want something to be printed or broadcast, don’t say it – it’s as simple as that. This is particularly important when dealing with sensitive internal company information or knowledge that has not yet been made public – such as an upcoming merger or acquisition. Make sure that any sensitive information has got the ‘green light’ from all involved before mentioning it to a journalist – and if you want to offer a journalist an exclusive insider tip, talk to your PR team about how to distribute information ‘under embargo’ or how to offer an ‘exclusive’ to a media contact. Key advice: Forget everything you’ve seen in the movies; for the purposes of your engagement with the media, the mechanism ‘off the record’ doesn’t exist. If you’re not happy for it to be published, don’t say it. And there you have it. 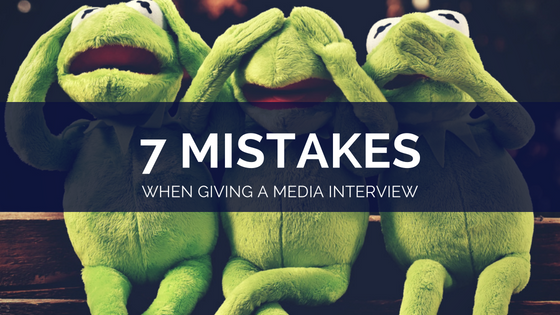 The seven most common mistakes made in media interviews. Naturally, most of these mistakes aren’t the end of the world – and a few slip-ups are inevitable, even from the most seasoned interviewees. However, avoiding these pitfalls will help you avoid any negative fall-out, as you progress on your way to becoming a dream interviewee. You’ve already made a good start, by reading this blog post. Now it’s time to engage with the media and practice what you’ve learnt.